Those who have followed this blog know that I have done this now for a few years. 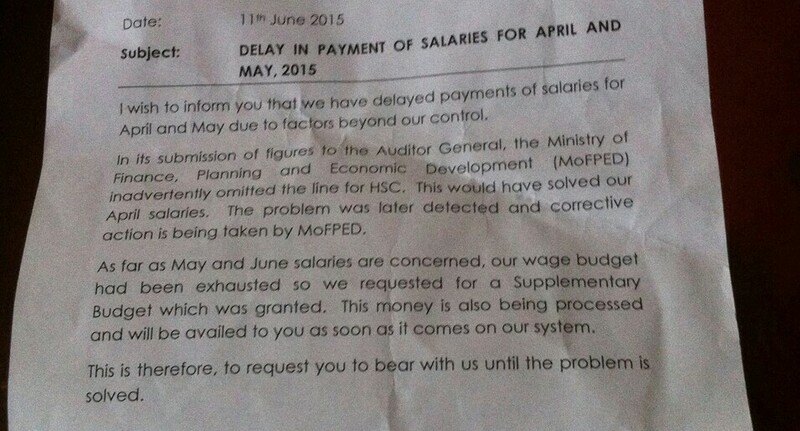 I continuously address this matter of delayed payments of salaries from the government to their own employees. 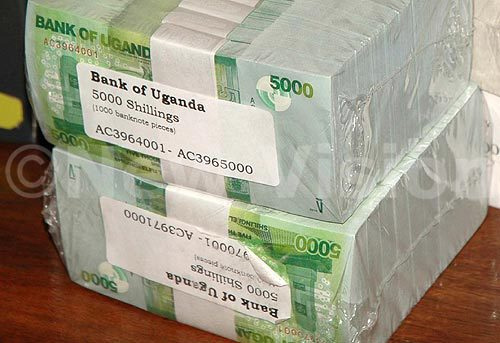 The Ugandan Government has like a sickness when it comes to paying out monies to its staff. They have to sneeze it out. The strange thing for me is that we haven’t had a tornado of warnings and admission of words from Keith Muhakanizi the Secretary of Treasury. He is unusually silent. 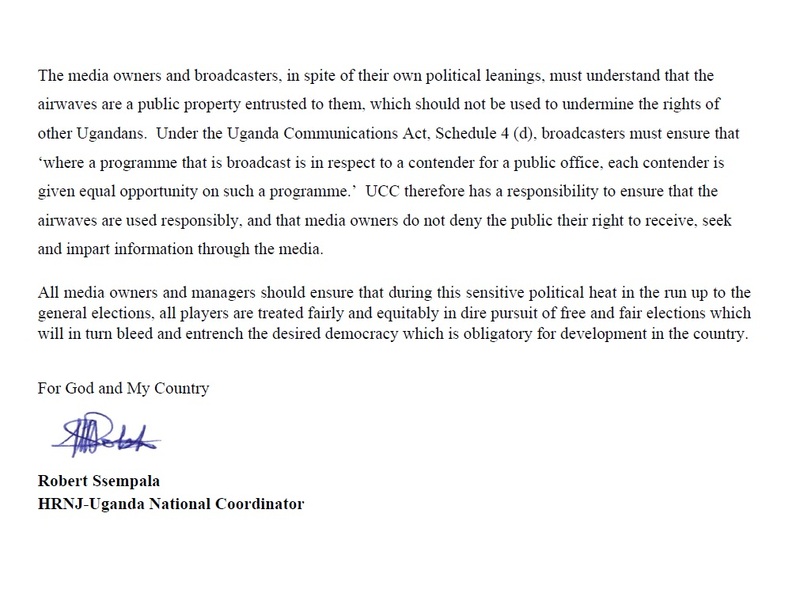 Well, the undersecretary of the Public Ministery Geoffrey Ettedu said his peace on the matter and as always Filbert Baguma Bates spoke his wisdom as well. 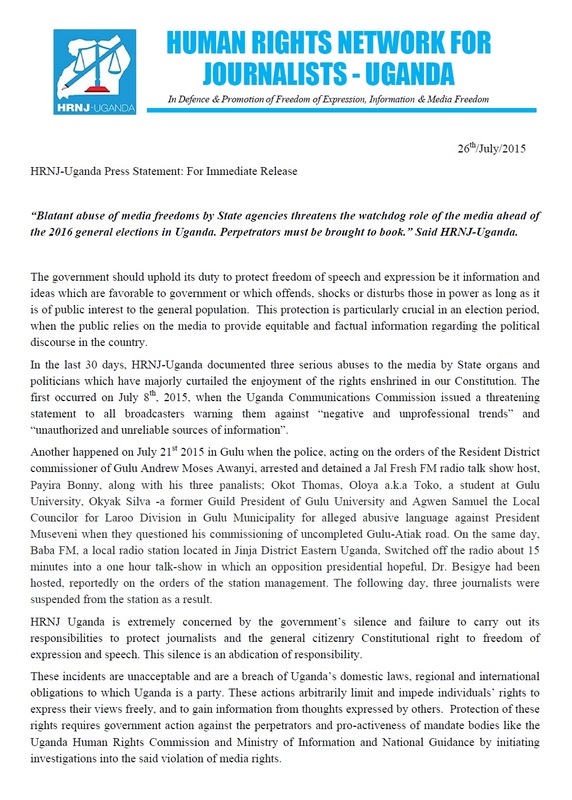 Another silent man was the Minister of Public Ministery Henry Muganwa Kajura. But now let the stories tell them for them self. At the Gulu University teachers and lectures stopped teaching for missing payment of salaries dating back to August last year. This was in March 2015. Last year in March they did the same kind of strike that time for compensation for extra work (Makumbi & Okot, 2015). Filbert Baguma Bates says: “that teachers in KCCA, Iganga District among others have never received their salaries of May-2015” (…) “that they have given the respective accounting officers to pay the teachers’ salaries before Wednesday next week failure they will loose their patience” (RadioONEFM90, 2015). In another article Mr Filbert Baguma says: “More than 1,000 civil servants in Nakasongola District, majority being teachers, didn’t get their March pay. As I talk now, the salary for May is not yet paid for 2,000 teachers within KCCA” (…) ”When the problem is for government, they don’t give you genuine reasons. But I think this arises from underbudgeting. Non-salary payment is common in most local governments. You find a number of people missing salary and without reason” (Sibwe, 2015). Geoffrey Ettedu the undersecretary of the Public Ministery says: “For starters, there should be a cleansing process in documentations from ministries, departments and agencies (MDAs) plus local governments for all civil servants” (…) “Regional accounting officers should be able to update the list of servants quarterly; that way we [will] end the ghost workers epidemic”. If you thought that wasn’t enough Filbert Baguma Bates continues: “Every government employee is supposed to receive salary on the 28th of every month, but [the Kampala Capital City Authority – KCCA is suffering] budget shortfalls that always affect them at the end of almost every financial year” (…) “that the issue had been recurring for the previous three years with primary teachers affected the most” (Alitwijuka & Sekandi, 2015). I will not discuss the matter more. I have used enough time on this. But have this letter in the end that everybody should read. Peace.